China launched the second remote sensing satellite for Venezuela using a Long March-2D (Chang Zheng-2D) launch vehicle on Monday. 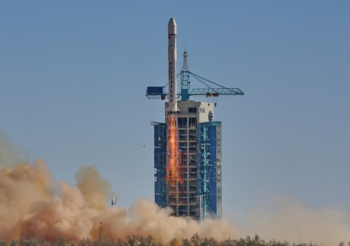 This was the first use of the CZ-2 rocket after a mishap occurred in December 2016 with the first Gaojing mission. The failure caused major distruption to the Chinese launch schedule. 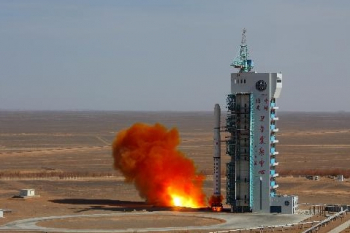 The launch of VRSS-2 took place at 04:13 UTC from the 603 Launch Platform of the LC43 Launch Complex of the Jiuquan Satellite Launch Center. 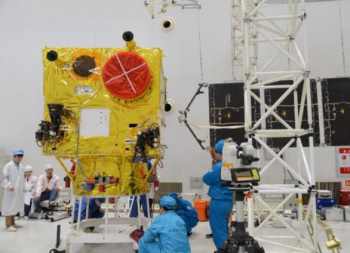 Also known by Antonio José de Sucre, the VRSS-2 (Venezuela Remote Sensing Satellite-2) is the second remote sensing satellite built by China to Venezuela after the VRSS-1 Francis Miranda (2012-055A) launched on September 29, 2012, using a Long March-2 launch vehicle from Jiuquan. The contract for the launch of VRSS-2 was signed in October 2014 between China Great Wall Industry Cooperation (CGWIC), a subsidiary of China Aerospace Science and Technology Corporation (CASC) and Venezuela Ministry of People’s Power for Science, Technology and Intermediate Industries (MPPCTII) in Caracas, capital of Venezuela. According to the contract, CGWIC is the main contractor for the satellite development, performing in-orbit delivery of the VRSS-2 satellite to MPPCTII together with the subcontractors for the satellite, the launch vehicle, launch control operation and ground application systems. 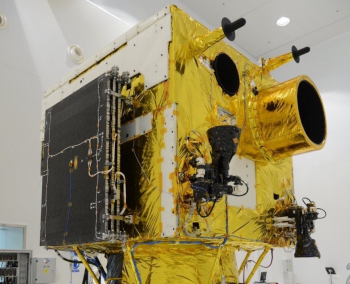 The satellite has a 1 m panchromatic and a 4 m multi-spectral imaging system. Additionally, it features 30 m SWIR and 60 m LWIR imagers. Launch mass of VRSS-2 is around 1,000 kg. The satellite is based on the CAST2000. The CAST2000 is a compact satellite platform characterized by its high performance, expandability and flexibility. It is fitted with an S-band TT&C sub-system, X-band data transmission sub-system and 3-axis attitude stabilization, and is able to offer highly precise control, large-range sway maneuver, flexible orbit maneuver, highly integrated housekeeping and highly effective power supply. This platform has already been successfully applied in several Chinese small satellites and its performance and reliability have proven to be excellent. The bus mass is 200 to 400 kg to a payload capacity of 300 to 600 kg. It is a 3-axis stabilized platform with sway maneuver capability. The platform can be used to Earth observation, technology demonstration, scientific exploration, Earth environmental exploration, meteorological research and application, communications and navigation. Antonio José de Sucre was a Venezuelan independence leader who served as the fourth President of Peru and the second President of Bolivia. Sucre was one of Simón Bolívar’s closest friends, generals and statesmen. Once the launcher stages are ready on the test and verification facility, they are transported by truck to the launch pad where they are stacked together and the fueling umbilical’s are attached to the rocket. Technicians can access the different stages through the service platforms that embrace the launcher at the launch platform.